Established in Cornwall and Devon, Bristol is the first site north of Exeter for HUBBOX and a big move for business owner Richard Boon. A Bristol boy born and bred, Richard has been exiled in St Ives for the past 20 years where he opened the hugely popular ‘Hub’ on the sea front and subsequent HUBBOXES, originally housed in shipping containers in Truro, Pentewan Sands, Plymouth and Exeter. Richard always wanted a restaurant in his home city and he and his team worked tirelessly to get exactly the right site, fit out and team to make it fly. And fly it really will, these guys are set for success.  The PamLloyd PR team’s job was to make sure that all the right people knew HUBBOX was landing, to ensure they could make it to the launch and that everything went smoothly on the night. Media relations played its part in spreading the word but it was social, specifically Twitter and Instagram, that made things fly. Bristol has a vibrant and engaged food community and they keep track of what’s happening by being on the buttons. To reach them the PLPR team of restaurant and social experts did plenty of mystery shopping of the competition (it’s a hard life but someone has to do it). It was important to make sure the people who would spread the word were available attend, that there were no clashing events and that when they arrived they had a great experience. It’s hard graft that makes events go smoothly and the HUBBOX-PamLloyd team ticked all the boxes. Shooting @enjoyasparagus today with @eatpictures 📸 These are steamed and rolled in @trewithen_dairy butter, salt and pepper👌🏼 Only one week to go until the British season officially kicks off! !